With the advent of ‘do-it-yourself’ rental agencies, it has become incredibly easy to target online shoppers with informative property advertisements. Not too long ago, vacations were organised through local travel agents and related resort brochures, with little or no communication between the client and the end provider. In other words, sourcing a private villa without specialist knowledge of the destination was near impossible. Fortunately, communications are now direct, seamless and effective. Internet rental agencies can put clients in touch with owners and agents in real time, removing the need for middlemen. Further, all details about a villa – including rates and availability – are now right at shoppers’ fingertips, allowing travellers to make informed renting decisions. 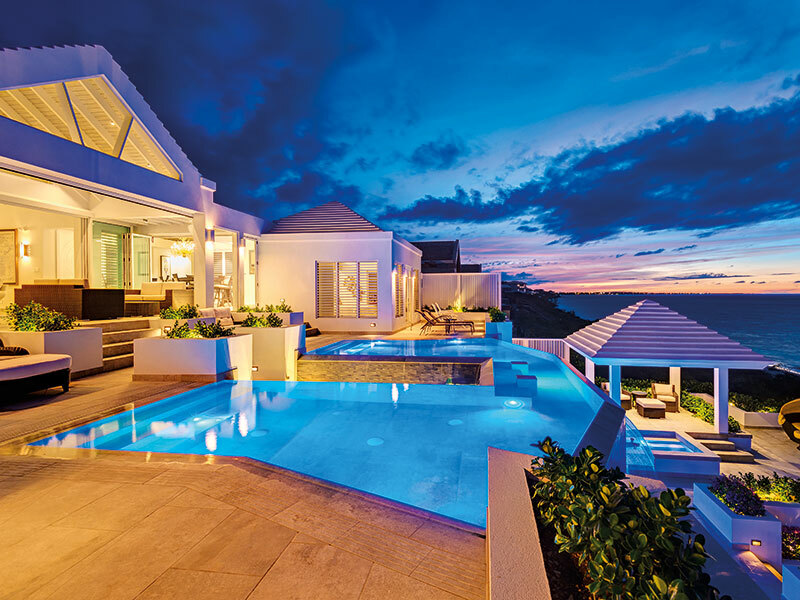 European CEO spoke to Ronald A Shaw, the founder and CEO of RA Shaw Architecture, to discover how this shift has impacted the rental market in the Turks and Caicos Islands. What sets the Turks and Caicos Islands apart from other destinations? The Turks and Caicos Islands is very popular with travellers seeking a warm climate, white sandy beaches, turquoise waters, modern conveniences and fantastic restaurants. The archipelago is particularly attractive to the US market, as it is an English-speaking British Overseas Territory that uses the US dollar and boasts one of the lowest crime rates in the Caribbean. What’s more, Miami is just a couple of hours away by aeroplane. More generally, the archipelago offers a broad and interesting variety of activities. For example, we have some of the greatest diving spots on Earth, as well as extremely popular deep-sea fishing charters. The islands also have a whole range of great restaurants available, with phenomenal tropical decor. All this, together with perfect weather, means once you’ve visited the Turks and Caicos Islands, you’ll be sure to return. How has this popularity affected the local property market? Due to the islands’ reputation, property management firms have been cropping up to fill the growing demand for property maintenance. Fortunately, agencies have proven to be proficient in rental enquiries, bookings, airport pick-ups, concierge services, housekeeping and the general maintenance of villa properties. This means investors can be as involved as they want to be – even if that means not being involved at all. What’s more, there are no property taxes in the Turks and Caicos Islands, so holding costs and annual expenses can be kept to a minimum. What role does architecture play in the rental market? Those surfing the net for vacation rentals will discover myriad properties across many different markets. As such, it’s important to have a unique and interesting architectural offering that grabs the attention and interest of prospective renters. In spite of a saturated market, we find customers return to our website time and again for our beautifully designed villas. Beyond aesthetics, the architectural form and function of a villa can have a significant impact on the vacation experience. One of our most popular short-term rental projects, Crossing Palms Villa, has attracted the continued interest of nine different families, who continue to return to the property. Repeat renters are the key to success in this business; unforgettable architecture helps to bring them back. Can you tell us more about your firm’s designs? At RA Shaw Architecture, we pride ourselves on a team-focused approach to design that gives due consideration to topography, sunlight, wind direction, privacy and security. As previously mentioned, the Turks and Caicos Islands has a near-perfect climate, with a consistent easterly breeze from the Atlantic moderating the weather. This allows us to design our properties with an emphasis on exterior living space – something few other destinations can offer throughout the year. Ultimately, however, our approach to architecture is to design what the client wants: after all, it’s their home, not ours. As a result, you will see a wide variety of styles in our portfolio. Having said that, the ‘modern’ look, with a focus on geometry and clean edges, seems to be one of the most popular styles at present. What services does RA Shaw Architecture offer? We manage projects from concept through to occupancy, taking pride in our outside-the-box approach to architecture and interior design. But our greatest accomplishments are achieved when clients employ our full suite of services, from architectural design to the selection of furniture, art, linens, small appliances, dishes and cutlery. This ensures continuity of vision; the result is a very consistent and cohesive design. The Mandalay Villa on Long Bay Beach is a good example. This award-winning design is integrated with the surrounding pool, with water cascading down multiple levels of the house. It’s an incredible assembly of modern design mixed with Caribbean heritage architecture. That’s what RA Shaw Architecture is all about. Can you tell us about your client base? The majority of our clients are high-net-worth individuals from North America and Europe. With the popularity of villa vacations on the rise, many are interested in building a dream vacation home that pays for itself through short-term rentals. Investing in a villa in a popular destination can result in significant income and capital gains, regardless of the scale of the investment. We have designed and built villas with valuations from $500,000 (€437,260) to $32m (€28m). The majority, however, fall between $2m (€1.8m) and $3m (€2.6m) in terms of construction costs. Generally, our clients are individuals who want a property for themselves, not corporations seeking to enhance their revenues. Our properties are popular among retirees, but most clients have families with children of various ages. The Turks and Caicos Islands is an intriguing and fun place for both the young and the young at heart. What does the future look like for RA Shaw Architecture? We are very well known in the Caribbean for our creative designs, but we also want to expand into new markets. As such, we have recently started operating in Southern Ontario, Canada. We are confident of expanding into further markets in the future, too. This is a very exciting juncture for RA Shaw Architecture and we look forward to the new challenges presented by the contrasting design elements required in northern climates. We will continue to push the envelope to deliver equally creative designs to those we have crafted in the Caribbean.